Drawbridge or floodgates? 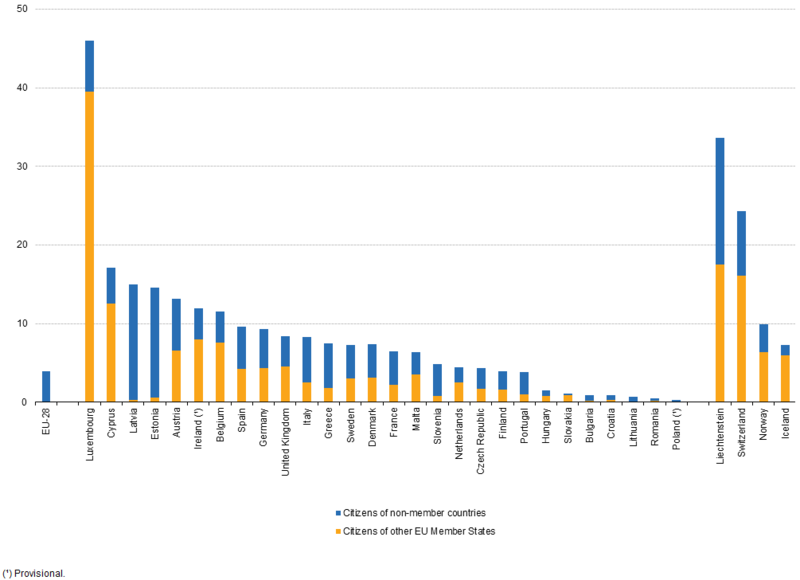 Brexit’s effect on the migration of EU nationals to the UK – Law, mostly. NextWhat are the pros and cons of secretly recorded evidence? [This is a guest post by Miriam Carrion Benitez, an immigration barrister at the 36 Group. Miriam is an EU national with particular interest in the effect of Brexit on migration, trade and policy]. Brexit Minister David Davis has recently said that the Government may act to ‘stop’ EU migration if it considers it necessary in order to prevent a ‘surge’ of people into the United Kingdom. I assume this is because Mr Davis expects a greater number of Europeans to move to the UK precisely at a time when this option seems least attractive. Going forward and in framing a new migration policy for discussions with the EU, Mr Davis may first want to have a look at the latest Eurostat figures on intra-EU migration to non-EU Members Iceland, Norway, Lichtenstein and Switzerland (‘INLS’). According to Eurostat, a total of 1.3 million EU nationals immigrated within the borders of EU and INLS in 2014. 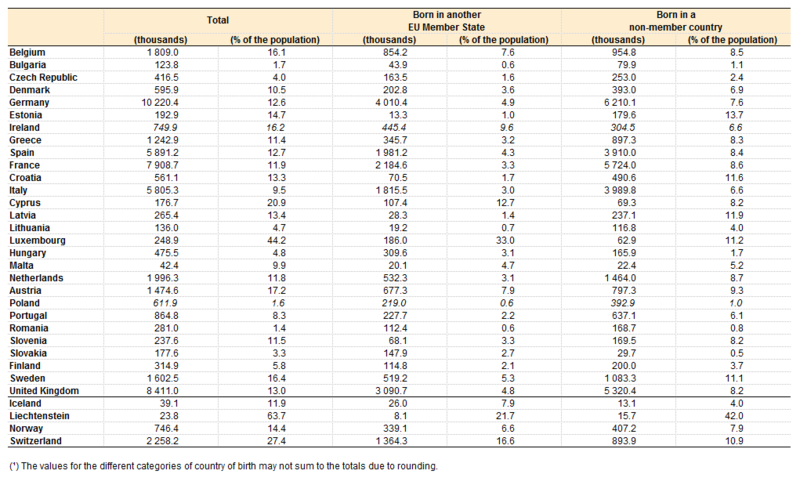 Overall immigration to EU countries, including EU and non-EU nationals, came to 3.8 million people with Luxembourg, Malta and Ireland topping the list closely followed by Switzerland, Lichtenstein, Iceland and Norway. The UK came 14th out of 30 states for number of immigrants per capita. Brexiteers argue that once the UK ‘Brexits’, the UK will be freer than EU States to take steps to reduce levels of immigration from EU countries. However, as the current political impasse in Switzerland illustrates, it is unclear how a post Brexit-UK will in fact gain the power to “take control” of immigration, at least if the country intends to retain access to the EU single market. In 2014, Swiss voters approved an amendment to the Constitution which aims to give Switzerland more control over immigration following a federal popular initiative bluntly called “Against mass immigration.” Since then the Swiss and the European Union have been unable to find a solution that takes account of both the wishes of the Swiss people and the terms of the Agreement on the Free Movement of Persons. According to the Eurostat statistics, in 2014 Switzerland accepted roughly 3 times more EU migrants than the UK, relative to its population. On a detailed analysis of the figures, if we had the Swiss rate of EU migration, the UK would have received an additional 470,000 EU migrants last year alone. In 2014, 16.6% of the Swiss population was born in an EU country against just 4.8% of the UK population. Who actually lives in Switzerland? Well, it has more than 3 times as many EU non-national residents in the population versus the UK. 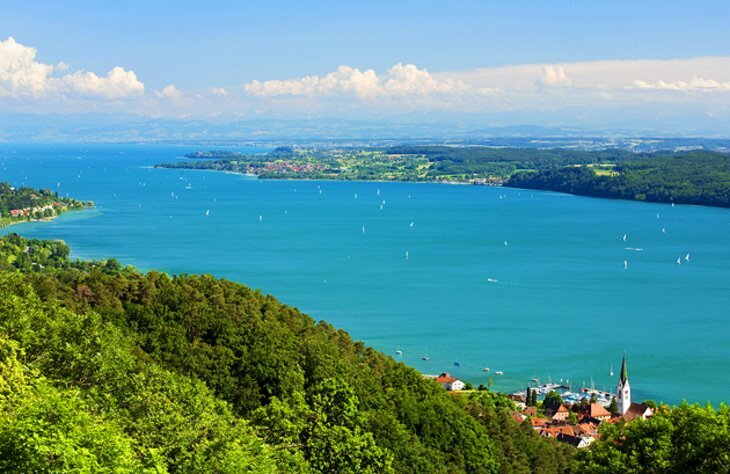 Perhaps Switzerland is a special case, attracting such healthy numbers of EU migrants because of its beautiful lakes, cheese and haven banking. However, the migration statistics suggest that its experience is not unique. Mr Davis might be equally interested in Norway’s achievements in the field of immigration control as a non-EU member. In a report commissioned by the Norwegian Government called “Outside and Inside,” experts accepted that Norway has adopted approximately 75% of all EU legislation compared to full EU members. It is said that throughout its agreements with the EU, Norway follows most legal developments from the EU eagerly waiting to “download” policy and legislation coming from Brussels. Current Norwegian legislation on the rights of EU migrants broadly mirrors the UK European Economic Area immigration regulations. In practice, Norway does not sit at the table in Brussels but it receives, relative to its population, almost twice as many EU workers and migrants when compared with the UK. Again, if the UK follows the Norwegian model it could be in for an additional 171,000 more EU migrants per year. Brexiteers have consistently cited Norway and Switzerland as potential models for a post-Brexit UK’s relationship with the EU. Put alongside the Leave campaign’s promise to the electorate of reduced immigration, it therefore seems very problematic for Brexiteers that Norway and Switzerland both turn out to have far higher levels of immigration from the EU than the UK currently experiences. Of course, both Norway and Switzerland have been obliged to accept free movement from the EU as a requirement of full access to the EU’s single market. In fact, the Swiss deal with the EU now looks in danger of breaking down, with the Swiss electorate having rejected free movement in a referendum of their own, whilst the EU continue to make clear that any restriction of free movement is incompatible with access to the single market. Ultimately, and putting Brexiteer wishful-thinking to one side, it looks clear that the aim of a reduction in immigration from the EU to the UK would require, at a minimum, paying the economic price of moving the UK fully outside the EU single market. [This is an updated and expanded version of a presentation Miriam gave at Balancing act, an event by 36 Immigration on 28 June 2016].